Thank you in advance for your tax-deductible donation. Ticket sales make up only 50% of Aurora Theatre’s budget. The rest comes from contributions from generous people like YOU! 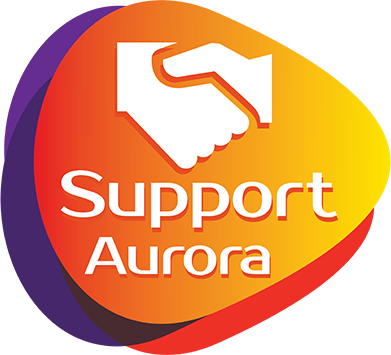 We challenge you to help provide a solid foundation on which Aurora continues to build its future. After clicking the button above, be sure to select the “Seize the Day Annual Campaign” from the drop-down menu at the top of the form. 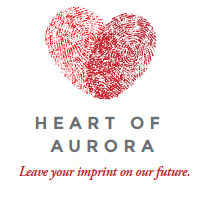 For the cost of one latte, dinner, or pair of shoes a month, YOU can be a sustaining donor to Aurora. Giving a little each month is easy on your wallet and makes a real difference over time. Join Dollars Makes Sense today! As you make long-term financial plans with your family, including your estate plans, please consider Aurora Theatre. You will be making a lasting impression on future generations of theatergoers for years to come. To learn more about giving ideas please contact D.H. Malcolm, III, General Manager. In honor of Gwinnett artists and Aurora founding Board Members Cindy & Randy Sutt, Aurora Theatre is proud to announce the creation of the Sutt Family Artist Fund. Aurora Theatre would not exist had it not been for the Sutts’ belief that Gwinnett deserved an award-winning professional theatre. This fund enables Aurora Theatre to continue to hire the finest talent in the country for our productions. As we continue to raise the artistic bar, we hope you will consider a generous gift to the Sutt Family Artist Fund today! Many employers offer matching gift programs and will match any contributions made by their employees and retirees to the not-for-profit organization of their choice. The impact of your donation to Aurora Theatre could be doubled or possibly tripled. If you are uncertain if your company has a matching gift policy, please contact Britt Ramroop, Director of Community Outreach.